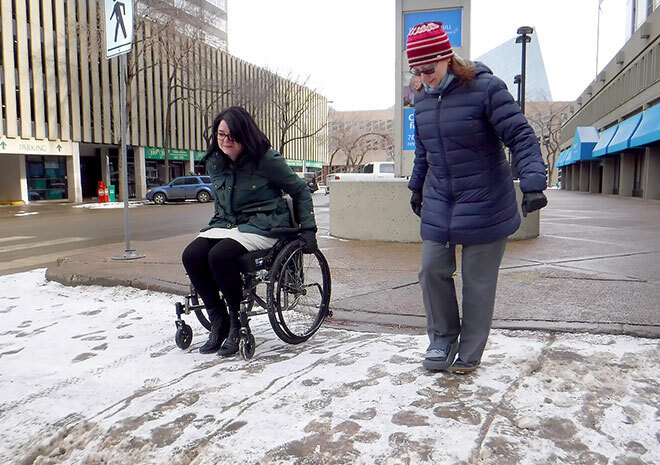 In this guest post, Ceilidh Corcoran tells us what it’s like to navigate an Edmonton winter with a mobility challenge. This winter has been an adventure to say the very least! You see, this winter I’ve struggled with mobility and have needed a wheelchair to get around. Don’t get me wrong, this has not been easy, but I have learned so very much and I have a new perspective and appreciation for mobility challenges. People have been incredibly kind and helpful. I have wonderful friends who make sure I get to work every day. Complete strangers have stopped to help me when I have appeared to be struggling or stuck. I’ve seen the world from a different perspective and gained the grace to know that some people just don’t know. I’ve also learned that while there is still work to be done to make this city universally accessible, we have done a lot of great things. I do take our transit system to work daily and I am humbled by the amount of patience people can have. I didn’t even notice until this year that they clear the windrows by the bus stops so the ramp can be lowered. Shovel. 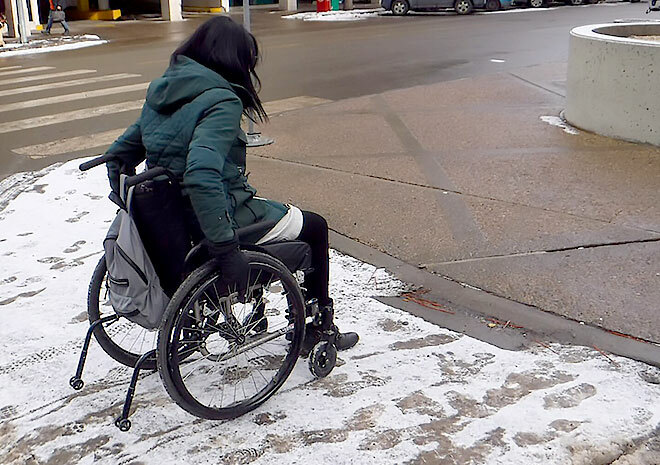 This is the single most important thing you can do to help those who are mobility challenged, and if you are on a corner lot please do the the curb ramp — I get stuck there the most often. The best thing you can do is walk your sidewalk and when you’re done see if you can identify anything that would be a challenge. If you see someone struggling or stuck, it’s okay to offer assistance! 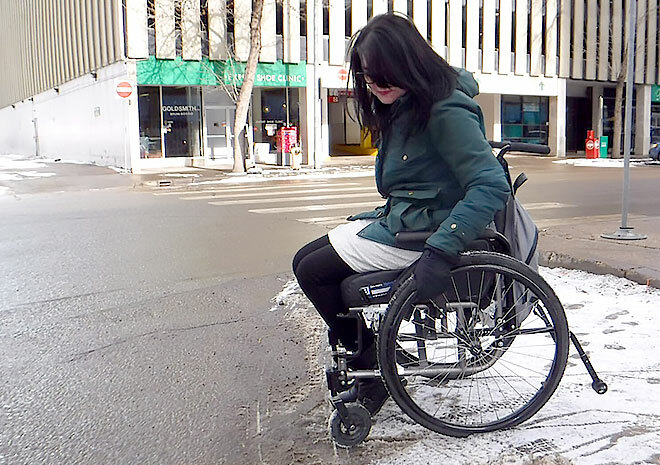 Sand or ice melt — just to ensure some wheels or a walker can pass through the sidewalk — is immensely helpful, and if you have a neighbor who struggles to clear their walk, be a Snow Angel. Finally, I’ve also learned that it is not necessarily the physical things that we can do, but it is the help that we can offer others that makes Edmonton truly a great Winter City.